We're very pleased to be one of Hull KR's recommended suppliers. We're just five minutes down the road from the stadium and its very spacious function rooms. 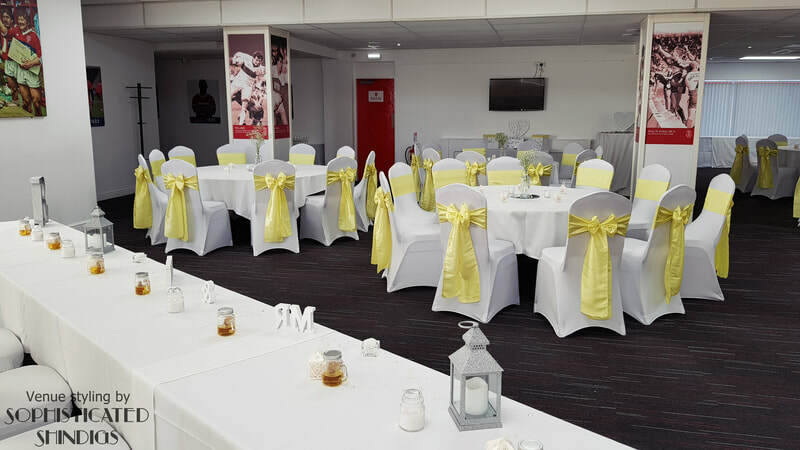 Please have a look below at some of the weddings we've done at The Robins' home ground. *Please rest assured that we see beyond colour at Sophisticated Shindigs. Red and white, or black and white - we welcome ALL our fair city's Rugby fans with open arms. Soft pink ruffles were the order of the day for Sarah & David's wedding in the Harry Poole suite. 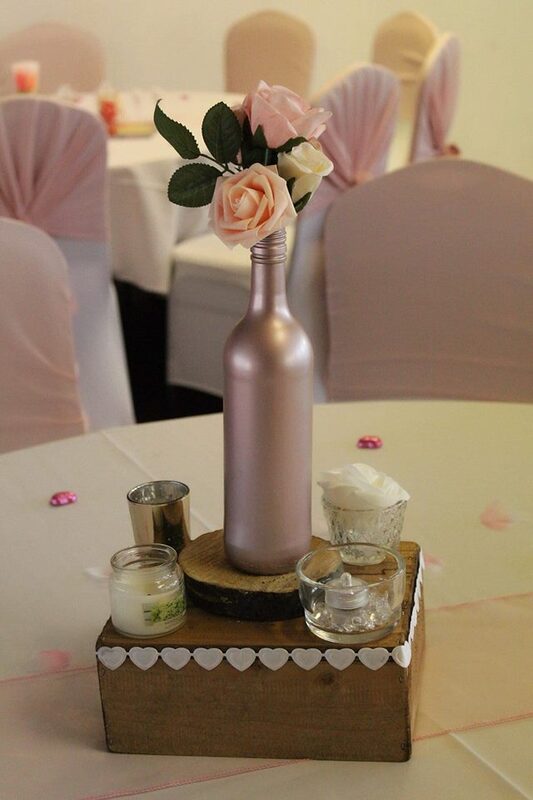 We also finished the tables with runners, rose petals and a pink heart-shaped chocolate for each of the guests. We were very pleased to get to see the arrival of the wedding party and chat to some of the guests. Seeing the reaction to the room was great. We do love to see our work being enjoyed. 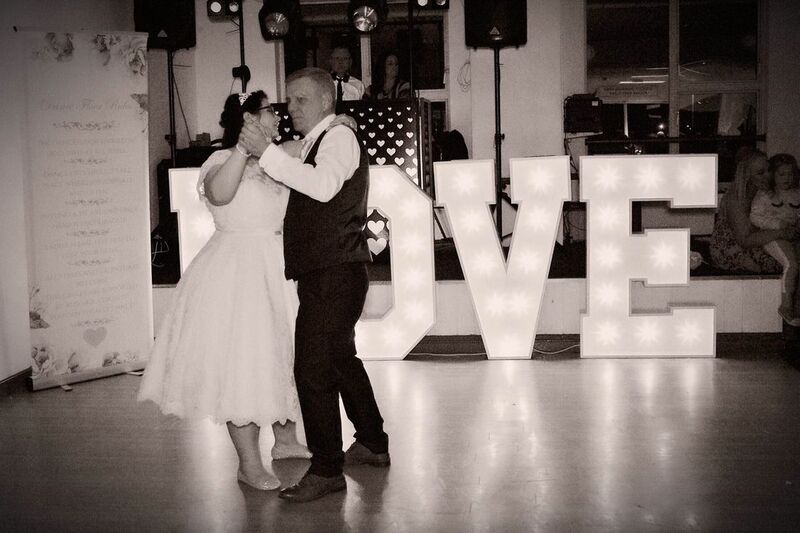 It was an extra treat for us when the bride sent in this lovely set of photos from the day. 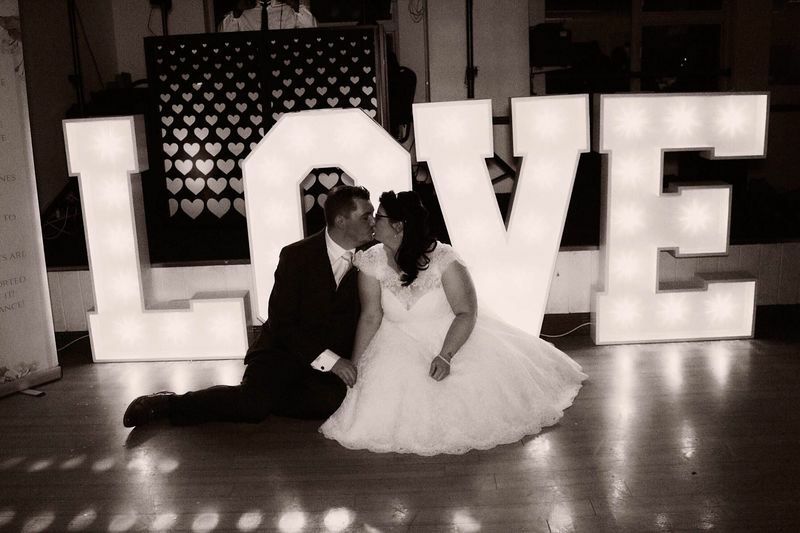 We LOVE the pictures with our LOVE lights. 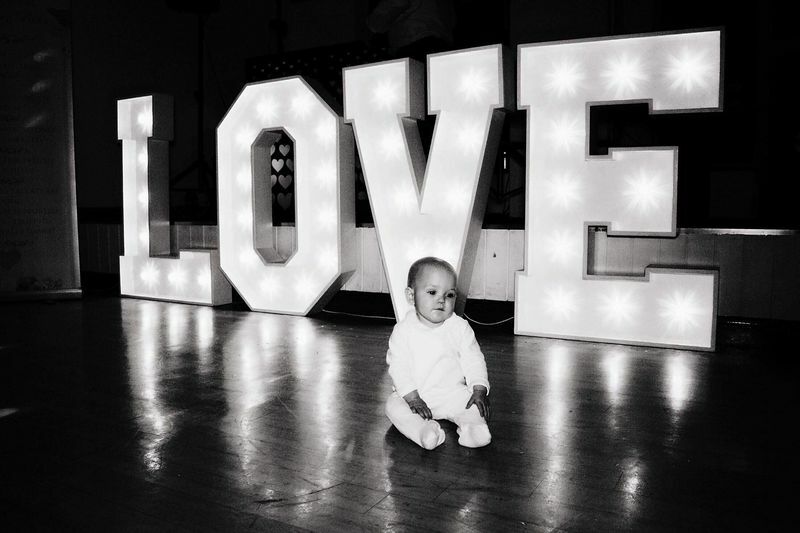 From father-daughter dances to beautiful baby shots, they really do make for some cracking photos! This lovely lemon wedding was so soft and pretty. Guests were greeted with a breezy, summer feel the moment they walked into the room. We used gold and silver taffeta in tandem for this wedding reception. It was nice using the two metallic colours together and we think it looked very smart. Baby blue chair dressing for a baby boy's christening. We provided covers for all the chairs, and sashes for half for a more budget-friendly option.